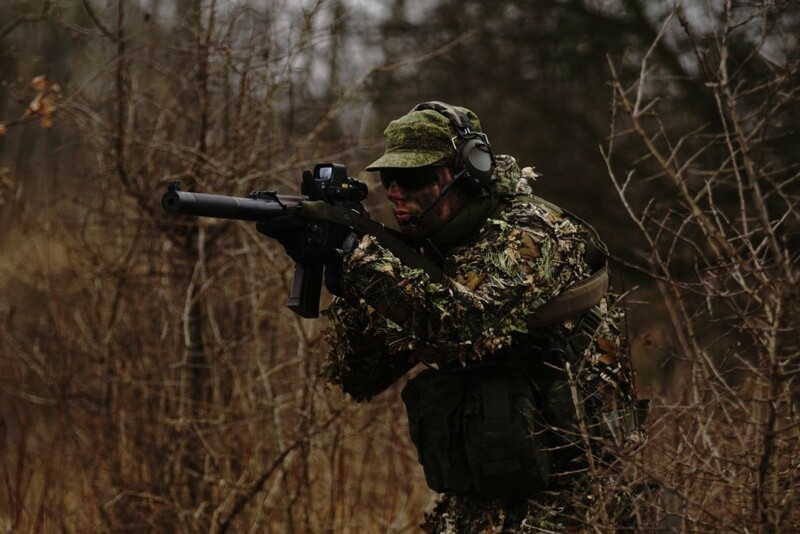 It is often said, that the airsoft fights are practically close range battles, because of the range of engagements that oscillates mostly between 10 and 80 meters. 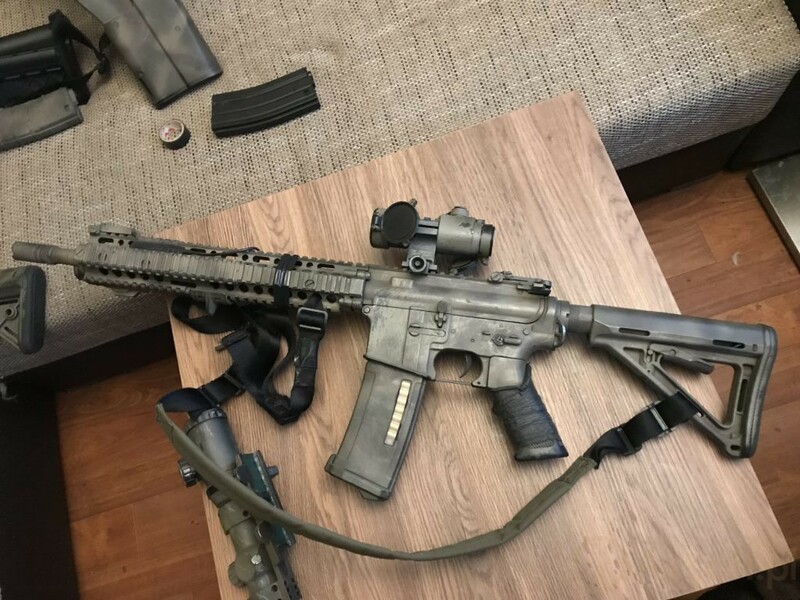 In comparison to the real firearms operations – engagement on the open fields happens mostly in the range of hundreds of meters. 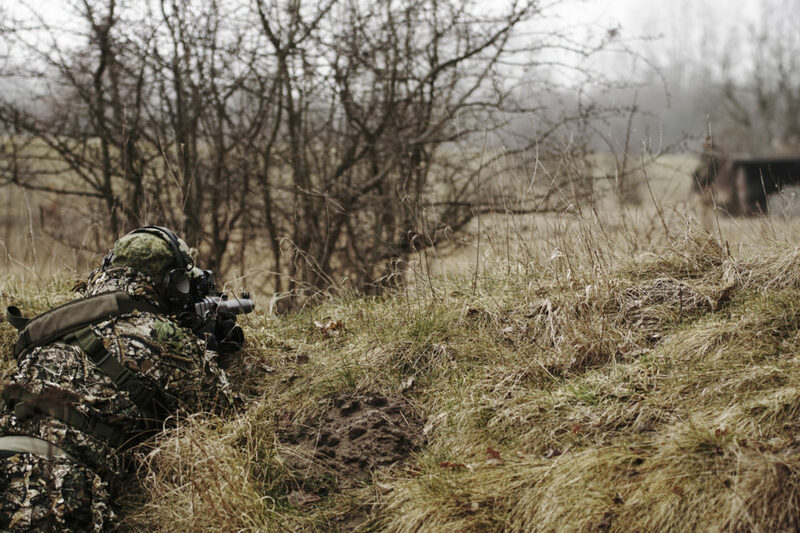 The man posture in the uniform can easily blend into the background at the ranges of 100-200 meters, however in the airsoft its still not enough. Because of the maximum range of the plastic bbs, most of the woodland actions require a lot of sneaking and making direct ambushes, which makes us a lot more demanding in the aspects of the camouflage. 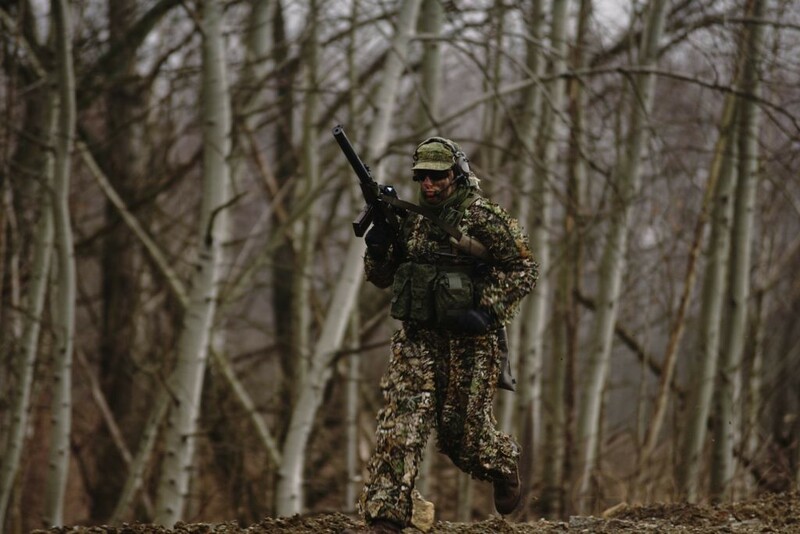 That’s why I am making this series of different tips of the world of camouflage in the airsoft world. Shall we begin? What makes us easy to be seen in the field? 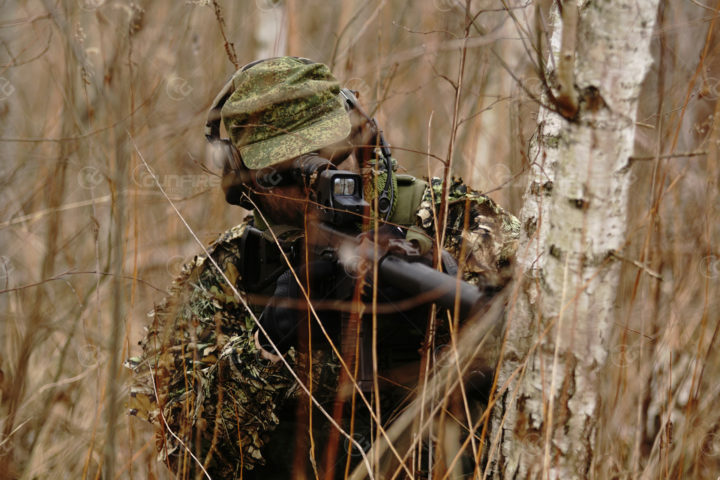 It is worth to use not only one type of the camouflage pattern during the whole year. With different seasons, come to a lot of different backgrounds of the field. For the autumn and winter, the darker patterns work better. 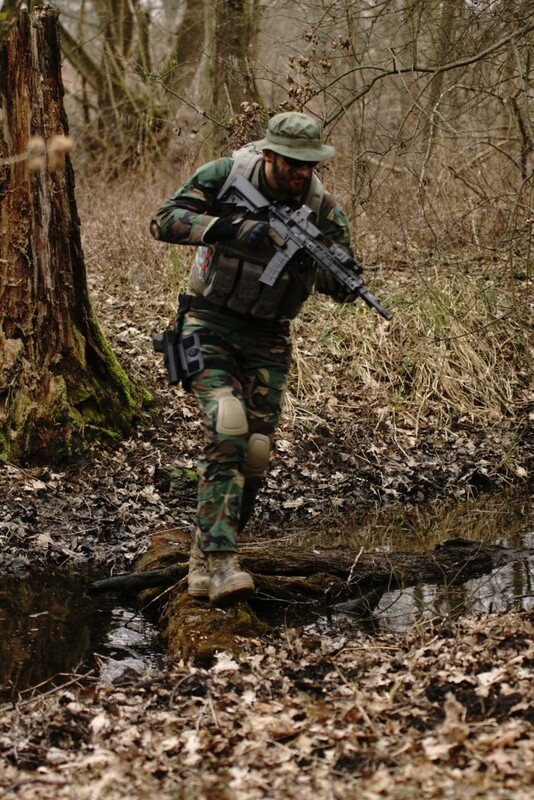 I recommend the brown and Coyote brown colors or the multicam pattern if there is a lot of the dry grass. During the greener seasons, like the spring and summer, don’t be afraid to use more aggressive, green colors. 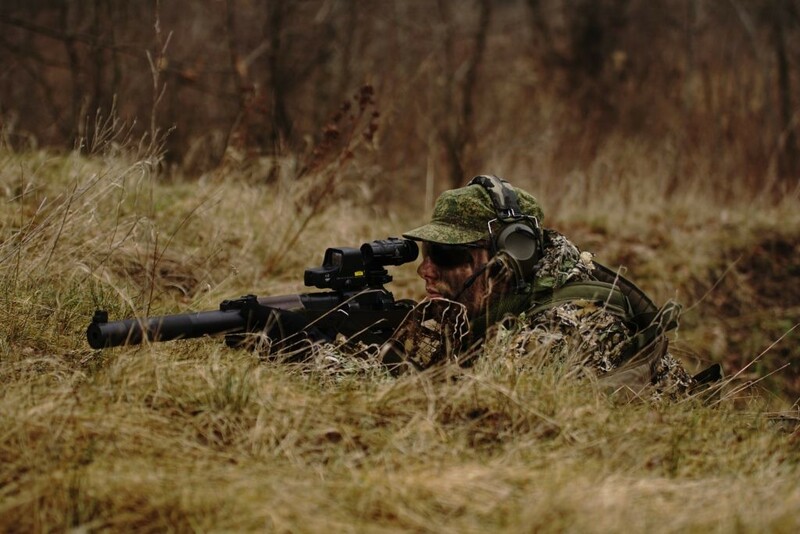 The PenCott Greenzone or the Ukrainian “Żaba” works like a charm with the green grass, leaves and bushes. The darker patterns will stand out, even from the longer distances. During the summer, a lot of players tend to roll up the sleeves or even use t-shirts. However, not everyone knows that the bald skin almost shines in the sunlight, making them visible from the end of the field, which makes them unuseful for the ambushes or recon. If you really have to roll up the sleeves – use the face paint to take the gloss of the uncovered skin. 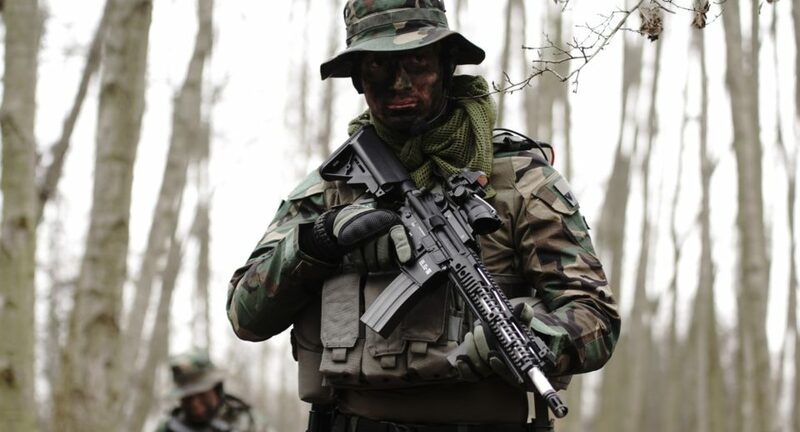 Obviously, a black rifle stands out from the green background or the perfectly camouflaged posture of a man. 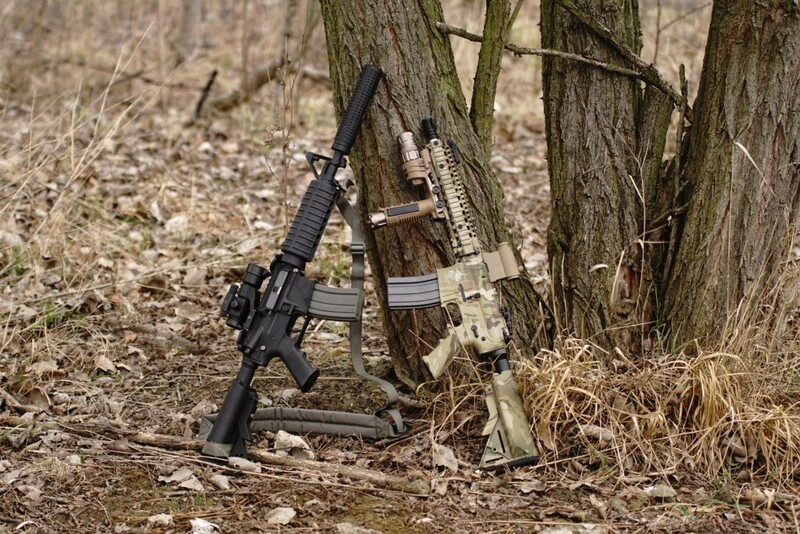 Even if you use the good cover, a barrel and shiny optic are all the enemy needs to spot you from the far distance. Because of that, you should consider painting your rifle (there is a tutorial about it!) and invest into the flash killer. Stay in the shadows – the pieces of your gear, glasses and skin are far less visible in the dark than in the full sunlight – the metal parts of the equipment, skin and glass is just shining in the direct sun. Don’t forget that your body makes a shadow in the sun, which also can be easily spotted. If you have a full camouflage, stay low and doesn’t move, it is not really likely to be spotted by the enemy recon forces. However, a single move will be caught by their eyes almost immediately, and you’ll be caught by their bbs. If you don’t want to be seen easily – stay calm and make only smooth moves. The sound of the bushes makes when you go through them and the sound of broken logs can be heard from a great distance, which completely unmasks your glorious attempt for an attack. By the sound, the enemy can often identify your direction and prepare a proper ambush for your visit. Don’t shuffle in the grass – take high steps and watch out for the logs! Even the best camouflage pattern doesn’t guarantee the 100% effectiveness. Due to that, you should as much obstacles, high grass, bushes and trees as you can, because they give you a lot of advantage. Don’t be afraid to dig in the leaves during the autumn or to use the grass in the spring and summer for the additional camo of the boonie hat. This is the end of the first article of this series. 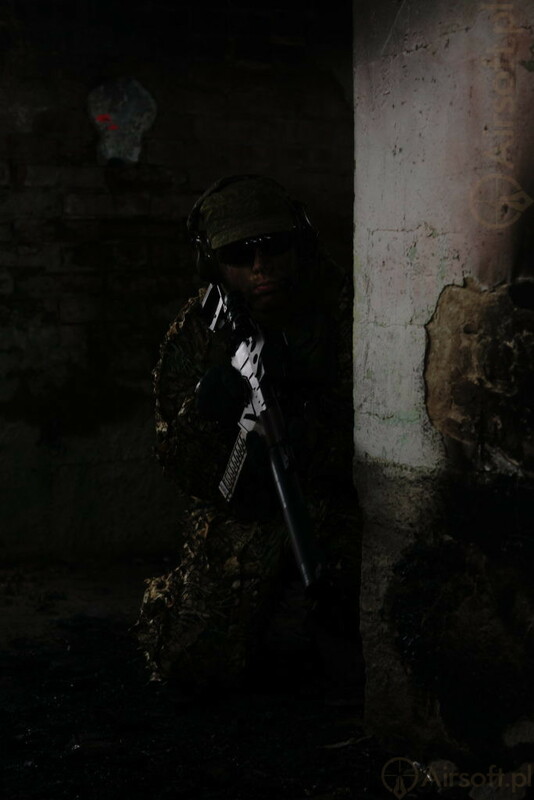 The next one will be about the Airsoft camouflage accessories that are available on the market and useful on the field.